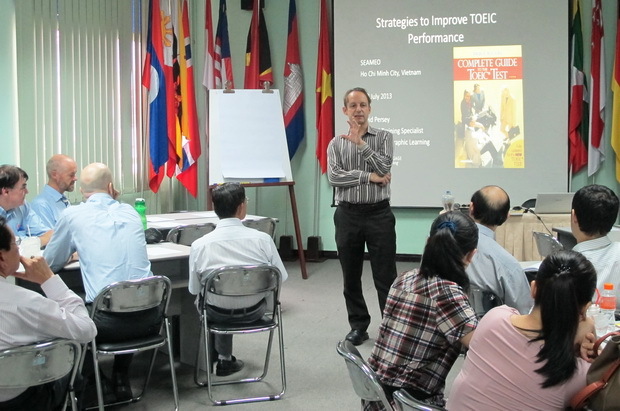 SEAMEO RETRAC in collaboration with the National Geographic Learning – Cengage Learning organized a training workshop on “Teaching Strategies to Prepare for the TOEIC Exam” on July 18, 2013 at the Center’s premises. The training workshop was facilitated by Mr. David Persey, Training Specialist, National Geographic Learning. 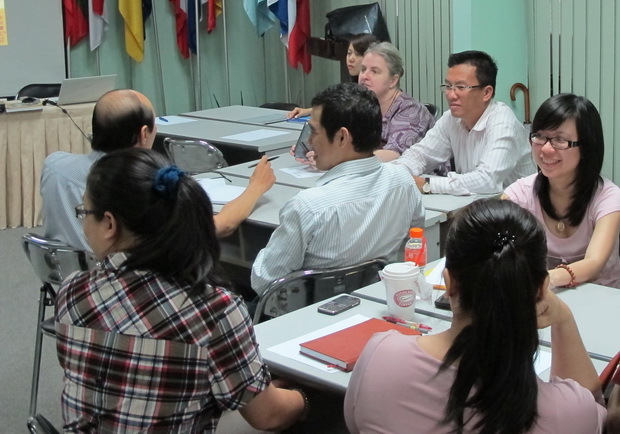 The workshop drew the participation of about 30 teachers teaching TOEIC program at the Center.